Volume indicators are used mainly in the stock market. Forex volumes are peculiar (teak). 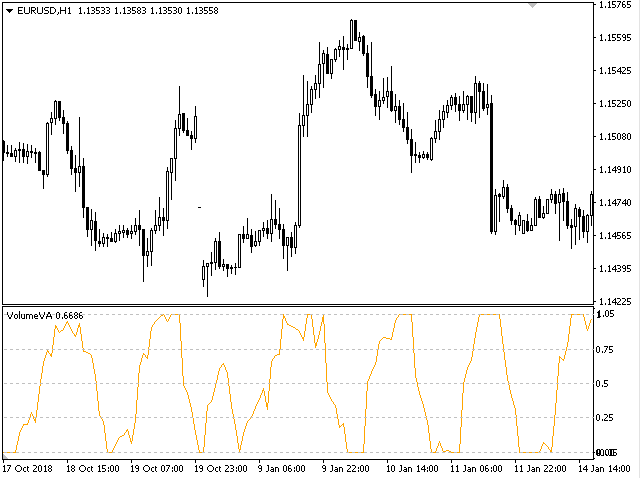 Why Forex can not track normal volumes? The fact is that this is an over-the-counter market. Consequently, to calculate the volume of purchases and sales by one instrument, practically, is not real. 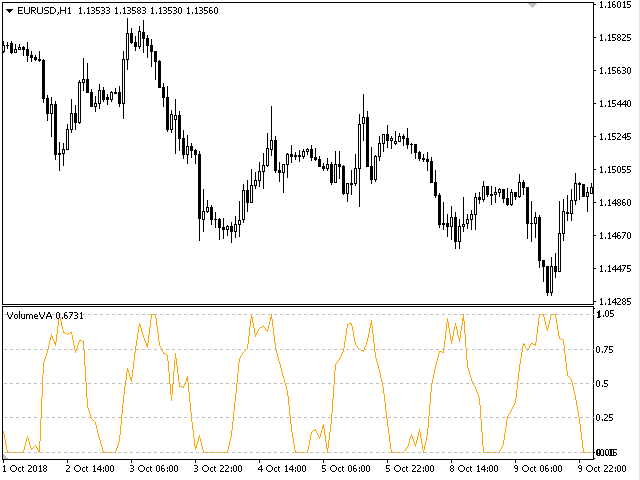 Many Forex traders at all abandon the volume indicators in their work. But for those who want to use them, there are some interesting tools, and one of them is VolumeVA. Volume Volume Volume indicator reflects the average volume over a certain period of time. The indicator is calculated every day, and new values ​​are added to the previous one. If there are no price changes on the market, new values ​​for VolumeVA are not added. Accordingly, the indicator does not change. It is noteworthy that the balance volume sometimes grows before prices, so that this indicator may indicate in advance that the market starts the price movement in one of the parties. This volume indicator shows the level of financial and emotional engagement. When the VolumeVA indicator forms a new peak, it indicates that buyers are stronger than sellers over a certain period of time. 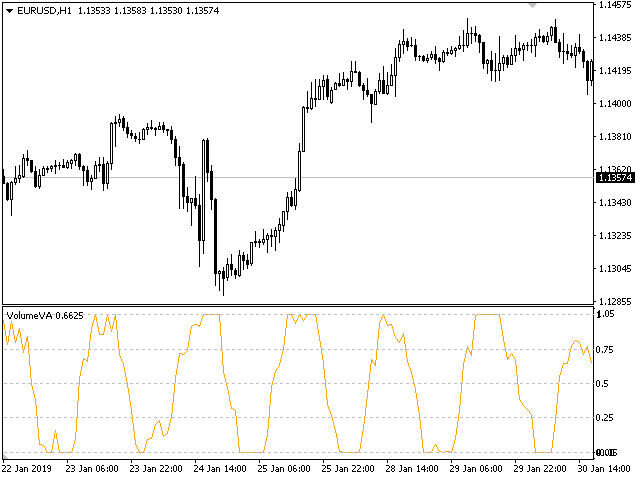 If the VolumeVA indicator decreases, this indicates that bears are more powerful.